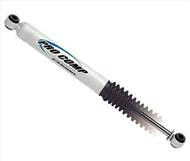 What it has: S-924 shock fluid and a multi-lip, spring tensioned rod seal are used to provide a superb seal, and the black poly-vinyl boot shields the 5/8” chrome piston rod from the elements, prolonging the life of these Pro Comp Shock Absorbers. A 1 3/8” nylon banded full displacement piston head and double welded shock mounts round out the Pro Comp ES1000, making it one of the most durable and longest lasting Pro Comp Shock Absorbers regardless of the driving conditions. A recent AAA report found that American motorists wasted $2.1 billion dollars in the last year buying premium gasoline for engines designed to run on regular gas. On an engine’s intake stroke, the piston travels down the cylinder, allowing air/fuel to fill the available space. Assume the cylinder holds 900cc when the piston is at bottom dead center. The piston then travels up the cylinder, compressing the fuel/air in preparation for combustion. Assume cylinder volume is reduced to 100cc when the piston is at top dead center. The relationship between the two volumes is known as the compression ratio. In this case, 900:100 is reduced to 9:1. The compression ratio indicates cylinder pressure, and more pressure equals more power and greater efficiency. That’s why high-performance cars and heavy-duty diesel typically have higher compression ratios than standard cars or trucks. While higher compression seems like all upside, it can invite negative consequences. Compression heats the fuel/air mixture, allowing it to burn more efficiently. If compressed too much, gasoline can spontaneously ignite, causing uncontrolled and early ignition. This leads to a knocking or pinging sound, robs the engine of power and can lead to engine damage. Typically, the engine’s computer will detect engine knock and adjust timing and the air/fuel ratio accordingly. 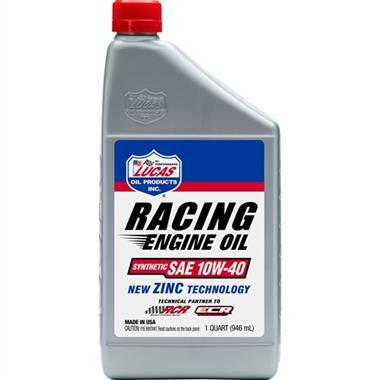 Although this protects the engine from damage, it can substantially reduce engine performance and efficiency. Most high-compression gas engines require the use of premium gas to better resist engine knock and prevent the computer from detuning the engine to protect against knock-related damage. Using premium gas in a clean, mechanically sound engine not designed to use it, though, provides no benefit. In engines with carbon buildup on pistons or in the combustion chamber, however, premium gas can provide some benefit. Deposits can reduce cylinder volume at top dead center, effectively increasing the compression ratio. This alone can lead to engine knock. The deposits can also become hot spots that reignite the mixture, leading to engine knock. While many formulators market a high-quality premium gasoline, such as Shell* V-Power* Nitro+ or ExxonMobil* Synergy*, the premium gasoline at your local filling station may not be formulated to improve performance in any aspect other than octane rating. Quality can vary from brand to brand and station to station. AMSOIL P.i.® and AMSOIL Quickshot® are excellent in these situations. They provide outstanding detergency to help clean dirty injectors and carburetors for maximum fuel economy and operability. Bruton Motor Sports is now a Green Fuel Tab dealer. If you want to save money getting better fuel MPG and bonus have cleaner emissions these gas treat tabs are just the ticket. Green Fuel Tabs™ technology is based on the effects of organo-metallic catalytic compounds. The active ingredients are multi-functional combustion catalysts that include fuel surface modifiers and deposit surface modifiers. They fundamentally change a fuel’s ability to combust at the molecular level. Here is a very basic explanation of how our technology works. The carbon-based molecules in Diesel, Gasoline, and Other fossil fuels ignite at approximately 600 degrees and burn to about 1200 degrees. The problem is, temperatures in engine combustion chambers are uneven and some areas don’t ever reach the minimum ignition temperature. This results in some fuel molecules only being partially burned. Unless you’re a smog expert or scientist most of us commonly refer these partially burnt fuel molecules as; carbon deposits and exhaust emissions. As a Catalyst and a Burn Rate Modifier, Green Fuel Tab products lower the Energy of Activation rate for fuel. This allows it to ignite at a temperature closer to 200ºC as opposed to 600ºC. That’s what is so revolutionary and unique about this technology. It's important to point out it’s accomplished without boosting the fuel’s octane or modifying the engine management or emissions systems. By significantly lowering the ignition point of individual fuel molecules, much more of the fuel is completely burned; extracting more energy from every molecule with almost no carbon deposits and significantly less exhaust emissions. Specifically, CO2 output along with CO, SOx, NOx, HC's and PM-10 are greatly reduced (all of which are hazardous emissions that degrade air quality, promote global warming and are harmful to your health). Longer life on all components exposed to combustion such as; fuel injectors, valves, pistons etc. THAT’S WHY WITH GFT PRODUCTS YOU SAVE MONEY AND RUN GREEN EVERY TIME YOU START YOUR ENGINE! *The process of removing carbon deposits by Green Fuel Tab products begins immediately but can take up to 600 hours of operating an engine or, 4,000 miles before the full benefits are realized. The actual time required to notice and get the full benefits of Green Fuel Tabs™ depends on the operation, history, extent of the carbon deposit build-up and age of the engine in question. GREEN FUEL TAB PRODUCTS ARE REGISTERED WITH THE ENVIRONMENTAL PROTECTION AGENCY (EPA) #237720001. Body Armor Trail Doors are uniquely designed with "Speed Gusset" plates, the doors feature Body Armor's exclusive hidden dual position latch system for a positive and secure latch, easy to operate from either inside or outside of the vehicle. 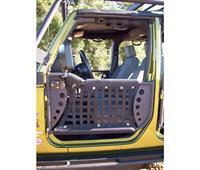 Doors come complete with the nylon web inserts for added protection from trail debris while allowing for increased trail visibility; doors are equipped with limiting straps preventing the doors from over swinging and hitting the hood. We're now a Lucas Oil dealer! Lucas synthetic motor oils are formulated with the highest quality synthetic base stocks and an exclusive high performance additive system, including lubricity and aniti-seize agents. They come in many SAE grades and meet or exceed API SM/CF, ILSAC GF-3 and ILSAC GF-4. These oils have excellent cold weather properties and are compatible with both conventional and synthetic oils. 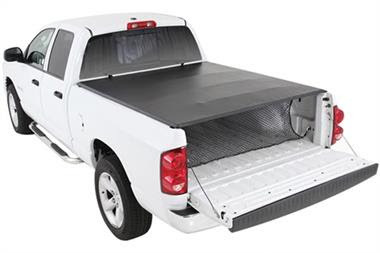 Smittybilt's Smart Cover Tonneau Covers include high-tech features not found in other inferior tonneaus. The heavy duty 6061 aircraft grade aluminum frame features reinforced corners that are completely covered in rich leather grain vinyl. 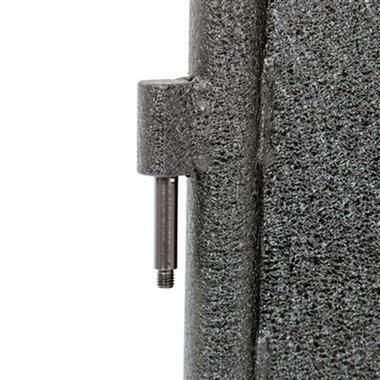 The Smittybilt speed lock system allows you to install and remove the cover with lightning speed. These are custom made to fit your application perfectly. L 70 in.x W 20 in. x H 16 in. For over 38 years, Westin has provided world-class products to the automotive aftermarket industry. Featuring 7brands, 11 product categories, and over 100 different products; Westin is the 1 Trusted Source for all your truck, SUV, commercial fleet, towing, Jeep products, and LED Lighting needs! 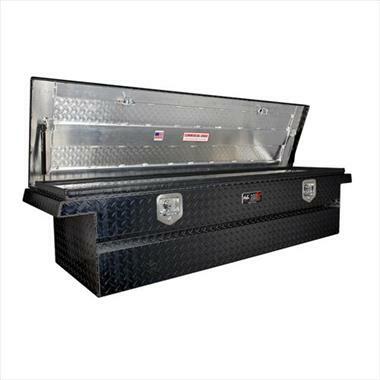 Truck bed toolbox. 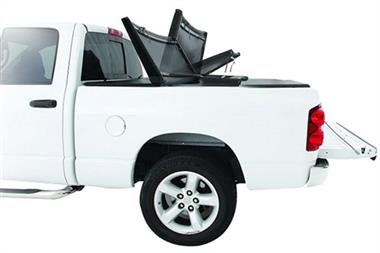 We're a Westin dealer for all your truck needs. AMSOIL Signature Series Synthetic Automatic Transmission Fluid has been proven in the field to deliver reserve protection against heat and wear. The demands on today’s automatic transmissions have multiplied. Excessive idling, extreme temperatures, and hauling heavy loads all pose threats to a transmission’s longevity. Work vehicles are consistently used in these severe service conditions but operators are often unaware of the toll it’s taking on their transmissions. Automatic transmissions have evolved into an intricate mix of gears, clutch packs and narrow oil passageways that require a steady supply of lubrication. They have become smaller yet must withstand higher horsepower and torque. Transmission fluid must act as a lubricant protecting against intense heat and shearing, and also as a hydraulic fluid to enable shifting. Neglecting this vital fluid leads to extreme heat stress, erratic shifts, and catastrophic wear. Ultimately, a time-consuming and costly repair or a complete transmission replacement become the only options. 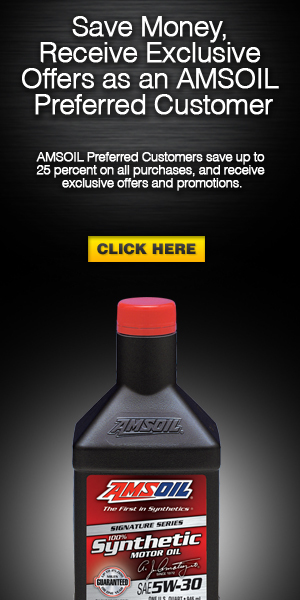 AMSOIL Signature Series Synthetic Automatic Transmission Fluid is specifically formulated to withstand the rigors of daily towing, elevated temperatures and challenging terrain. Its wax-free formulation remains fluid in sub-zero temperatures and ensures excellent shift response, energy efficiency and warm-up times. 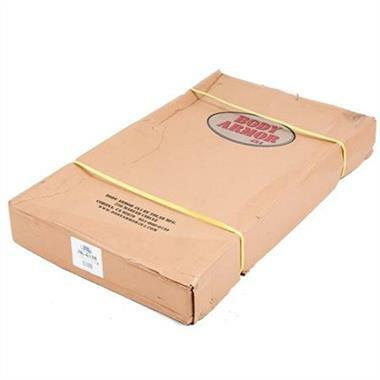 It provides reserve protection during heavy use and even abuse. The consistent hauling of boats, campers, equipment or supplies can tax a transmission to the point of failure. We submitted Signature Series Synthetic Fuel-Efficient ATF for a field trial at an independent test facility to prove its ability to protect transmissions in the severe, high-heat environment generated in real-world towing scenarios. A loaded trailer was towed on real highways and streets throughout the trial. Signature Series Synthetic ATF handled the punishment with ease. Throughout 115,000 miles in severe-service it delivered outstanding protection for gears and clutches and maintained smooth shifts. Few applications test lubricants like taxi cabs, especially those running in the searing heat of Las Vegas. After more than 180,000 severe-service miles in this challenging environment, AMSOIL Signature Series Synthetic ATF delivered complete wear protection and provided shift quality nearly identical to new fluid***. The results of these studies offer convincing proof of performance for fleets, contractors and others who operate work vehicles daily in severe service conditions. The added protection of AMSOIL synthetic lubricants shields expensive work vehicles from the negative effects of extreme heat, especially sludge formation, keeping them on the job-making money. Engine problems often originate in the fuel tank. Water can find its way into the tank either from the fuel station or through condensation from heating and cooling. It’s important to drain off that water regularly or when the vehicle indicates your fuel/water separator is full. 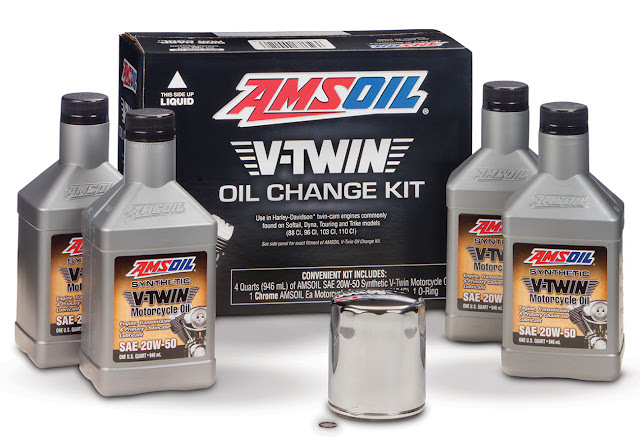 Because of today’s diesel technology cycles so much fuel back to the tank, and carbon particles can separate from the fuel and collect in the tank and fuel filter, it’s important to use a premium fuel additive like AMSOIL Diesel Injector Clean to minimize these effects. Ensuring you have fresh fuel is also important, so when the temperature drops, you can be confident your vehicle will start. Turbochargers can spin over 100,000 rpm, creating intense heat and shearing forces that can cause lower-quality lubricants to lose viscosity and their ability to reduce friction, wear and heat, putting critical engine components at risk. Not only that but turbodiesel vehicles suffer a certain level of fuel dilution, exacerbating viscosity loss and creating an environment more susceptible to engine wear. Lubricants that provide maximum protection and performance under extreme heat and loads are essential to maximizing equipment life and minimizing downtime. And because one of the primary benefits drawing customers to turbodiesels is fuel economy, it is important lubricants also do their part to maximize fuel economy benefits. Coming in December, the new API CK-4 and FA-4 diesel oil specifications focus on drastically reducing emissions and improving fuel economy while providing increased engine protection benefits through improvements in oxidation stability, shear stability, and resistance to aeration. Designed to conquer slightly different terrain than the Trepador Bias, the Creepy Crawler also features a conformable bias ply casing to maximize the contact patch on an uneven off-road terrain. The unique pattern and sidewall design excel on mud and rocky terrain. 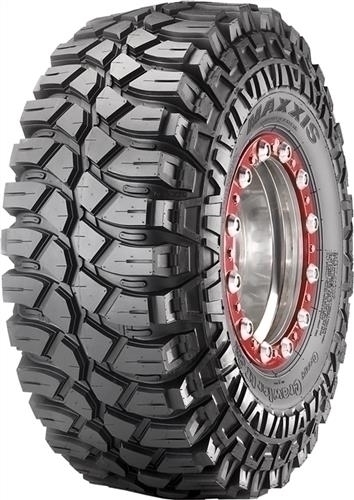 Features & Benefits include the following: Special construction design allows the tire to conform to different terrain surfaces for maximum rock-crawling performance. Stone ejectors provide protection against tread cap damage from sharp rocks. 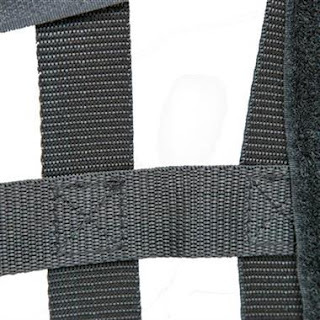 Unique multi-edged knob design and sipe arrangement enhance traction on slippery surfaces. 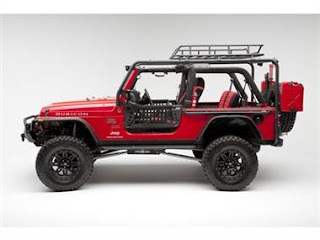 Large shoulder lugs and sidewall design provide unparalleled side bite in difficult off-road terrain. DOT – Approved. M&S All-Season rated. The new off-road addition to the Grabber family, the General Grabber DOT-approved off-road tire comes in a variety of sizes and is designed to perform on the highway and streets as well is engineered with rugged good looks and race-proven performance. A tough, three-ply reinforced body construction and a race-proven Duragen tread compound are designed to stand up to the rigors of off-road as well as highway conditions. General Grabber’s optimized tread design and multiple tread edges work to deliver great side bite and lateral traction. 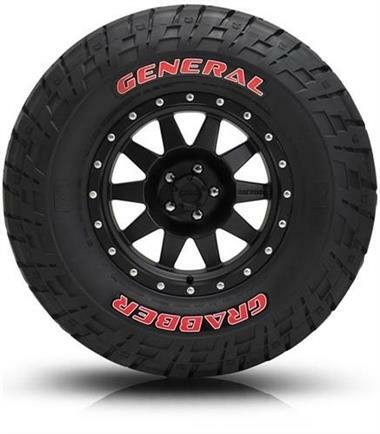 General has engineered the Grabber with what it calls AMST – Acoustic Modulation Sound Technology – a sound wave suppression technology that works to reduce road tires noise. The Grabber DOT-approved off-road tire comes in a variety of sizes and is designed to perform on the highway and streets as well. The General Grabber off-road tire is a DOT-approved off-road tire comes in a variety of sizes and is designed to perform on the highway and streets as well is engineered with rugged good looks and race-proven performance. 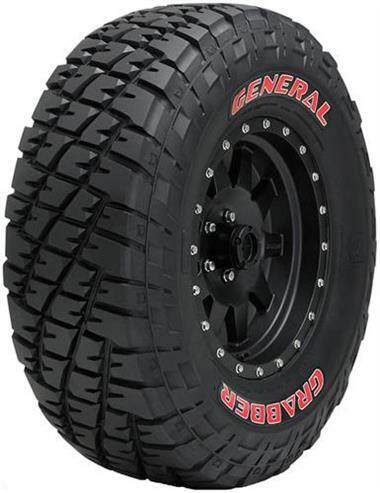 General Grabbers optimized tread design and multiple tread edges work to deliver great side bite and lateral traction. The Grabber is a DOT-approved off-road tire comes in a variety of sizes and is designed to perform on the highway and streets as well. Patented Strake & Chamfer tread Pattern. 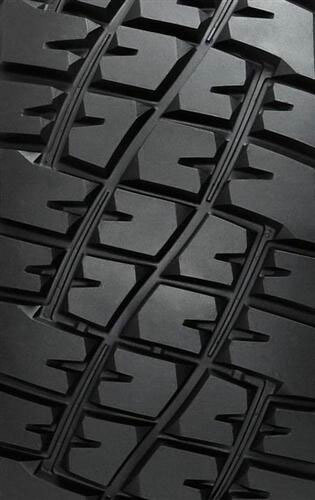 The race has proven 3-Ply construction provides driving confidence under the world's most extreme conditions. 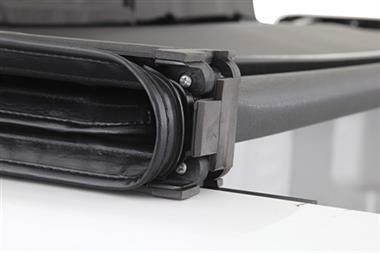 Multi-angled sidewall protectors help prevent punctures. Competition inspired red letters. The General Grabber sound wave suppression works to reduce road noise but still delivers high levels of off-road traction while providing smooth on-road performance. Grabber carries a 30-day free trial. G-Force R1 Sports and Performance Tires, Competition Tires. Icon Summer Tire with the legendary performance for the track. One second faster laps than the competition on a 1-mile road course. Test conducted by The Tire Rack at the Michelin LPG facility. g-Control sidewall inserts generate tremendous cornering force with excellent driver feedback. Help to turn your fastest laps. Predictable grip inspires confidence and helps lower your lap times. Predictable grip character that's easy to drive at the limit, and confidence inspiring for the quickest lap times in amateur road race competition. Easy to drive at the grip limit. Can be used at different wheel positions and rotated in both directions, to maximize tread life for possible laps at the race track. Symmetric, non-directional tread design. Minimal break-in required. Molded to 4/32nds of an inch tread depth. No shaving required. Competition ready. Split second steering response and precise turn-in enable precision at the track. Razor-sharp steering response. 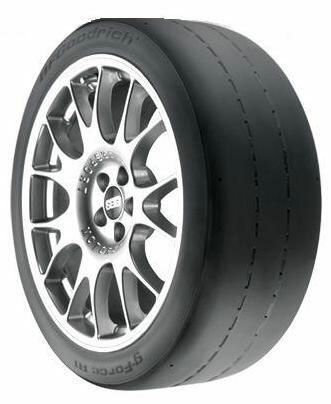 The g-Force R1 tread compound offers quick warm-up, superior cornering power, and consistent grip lap after lap. Best in R1 DOT street legal class dry grip. We carry a complete line of Competition tires. 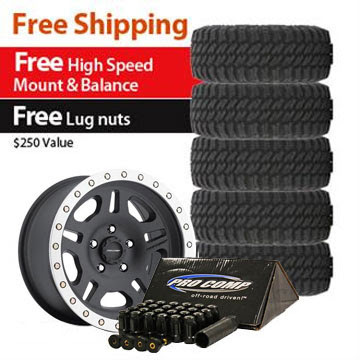 Save time and money with our tire and wheel packages. 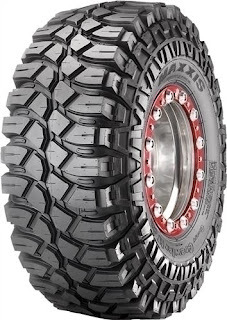 The Pro Comp Xtreme MT2 radial is designed for full-size trucks and SUVs that see a combination of on and off-road use. No matter if its hauling heavy loads or exploring rugged terrain, the new Xtreme MT2 delivers the toughness and traction needed to get the job done. The aggressive open tread design was optimized using computer modeling to deliver unsurpassed grip and control without excessive noise. It also delivers improved self-cleaning performance in mud and snow. Pro Comp Xtreme MT2 Tires come with 40,000 Mile Tread Wear Warranty. Pro Comp Alloys are designed using State-Of-The-Art Low-Pressure-Casting Technology providing unsurpassed wheel strength, style, and value. Pro Comp Alloy Wheels combine head turning style, light weight, durable finish in black, black powder coat, chrome and polished. Pro Comp Alloys also incorporate a high offset brake clearance for today's performance trucks and sport utility vehicles.